During the month of April 2014, in the build up to Freedom Day in South Africa, Coca-Cola literally created rainbows to mark the 20th anniversary of the country’s democracy and the birth of the ‘Rainbow Nation’, a phrase coined by then-Archbishop Desmond Tutu. And, like the secret recipe of the Coca-Cola syrup, there is a certain magic surrounding how these rainbows were created. “The truth is, we didn’t,” says executive creative director of marketing and communication agency FCB Johannesburg, Jonathan Deeb. The journey to find partners to realise this vision was no easy feat. 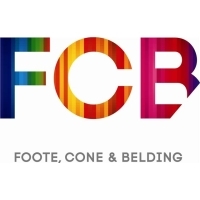 After 54 international phone calls, 412 e-mail conversations with 3 universities, 12 scientists and a few people who said they could actually make Coca-Cola’s rainbows come to life, FCB found its man. Globe-trotting, self-acclaimed ‘rainbow-maker’ from the United States, Fred Stern, was chosen as the artist to partner Coca-Cola on this project. Stern has created over 50 rainbows around the world, has a doctorate in Engineering Sciences and, most importantly, is committed to creating natural rainbows to make the world a better place. “I am an artist who creates natural rainbows in the sky as large as 2 000 feet across for events in support of humanistic causes. I generate an artificial rainfall by pumping water into the air. These water droplets refract the sun’s light to establish the rainbow. I use a computer program to determine the optimal time, position and spray parameters for rainbow generation,” writes Stern on his web site. The technical team that supported the rainbow maker included Water Effects specialist Gerhard van der Heever and his team, as well as The City of Johannesburg’s water management program. The team did considerable planning, many serious calculations to establish exactly where the azmith of the rainbow would be at the chosen locations, numerous testing days, and – of course – kept a close eye on the weather reports. The rainbows were created by capturing the sun at specific angles through a mist of non-potable recycled water. The water used for the activations on Mary Fitzgerald Square in Newtown, Johannesburg, was captured by the gutters and routed back to the recycled water system. “In the lead up to Freedom Day, we wanted to go further than reminding South Africans of our heritage. We wanted to create a symbol of our diversity and celebrate the fact that, as a nation, we have come so far. Coca-Cola aims to inspire moments of optimism and happiness, and rainbows can do both,” explains Sharon Keith of Coca-Cola South Africa. “I think South Africa is one of the friendliest countries in the world, and that makes me smile every day,” says a woman after seeing one of the rainbows. “The rainbow reminds us of our best possible selves,” says another. In the end, however the rainbow was achieved, what it did was unite South Africans in sharing a unique moment of happiness in honour of this special time.